Google recently rolled out marshmallow 6.0.1 update to its several supported nexus smartphones, and now reportedly Google is bringing the Marshmallow 6.0.1 update to Android One smartphones. Reportedly, some users have reported that they are receiving the marshmallow 6.0.1 update on their Android One smartphones. 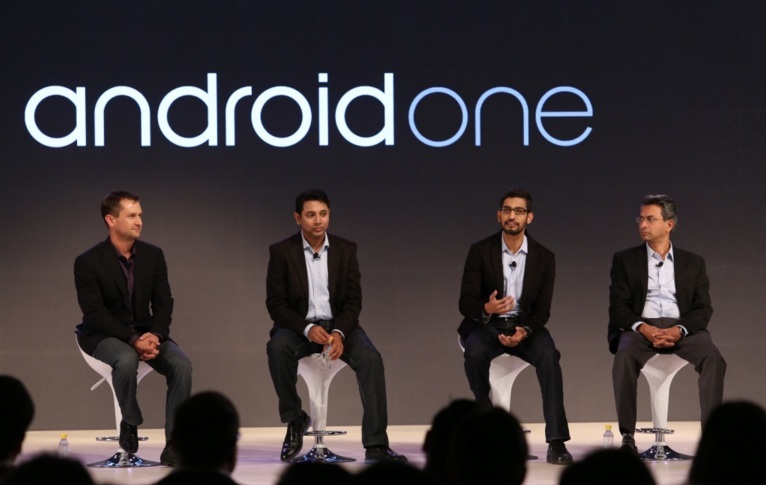 Two days back Android Police had reported that the update came in fast.” Several Android Police readers and a long thread on the XDA-Developers forum indicate that some Android One phones (which tend to share standard hardware across multiple devices) are being upgraded to the latest version of Android Marshmallow. According to a XDA Developer forum has a thread that includes comments from several users and the update appears to have only rolled out to second-generation Android One handsets including the Cherry Mobile One and General Mobile 4G among others. A developer named LlabTooFeR has According to a shared screenshots from a developer named LlabTooFeR showing an Android One smartphone running Android 6.0.1 update with build number MMB29K. 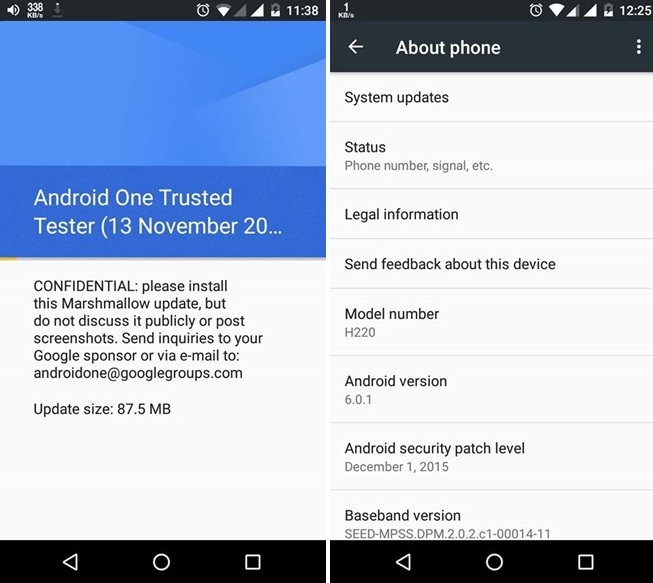 Reportedly the first Marshmallow update, 6.0.1 will hit the Android One smartphones with latest security patches level listed as December 1.